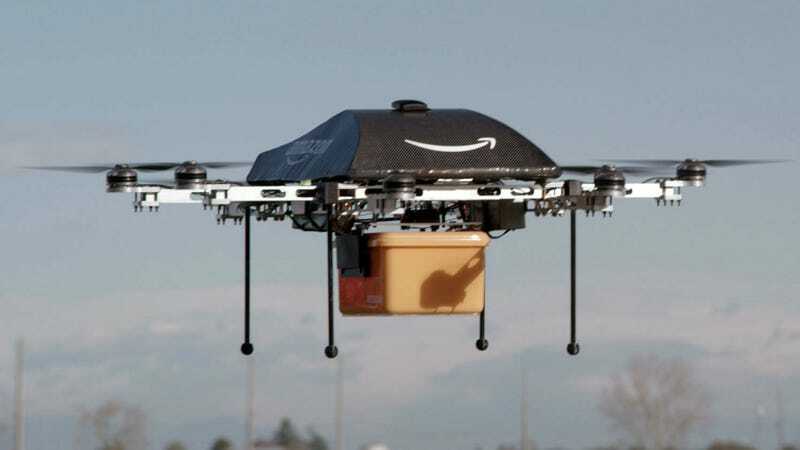 Amazon Was Just Granted Permission For Drone Research In The U.S.
Amazon made quite a marketing buzz following their announcement that package delivery via drone was in development. The idea was quickly squashed when the U.S. government said, no sir and Amazon threatened to take research and development overseas to stay competitive with other companies like DHL who is researching their own drone delivery service. The permission is under the limitation that all flight happen in daylight hours during good weather and below 400 feet. The pilot operating the unmanned aircraft must be a certified private pilot with a current medical certificate while keeping the drone within line of sight at all times. The FAA is requesting monthly reports on flight data including any hardware malfunctions or deviations with air traffic control. It seems now that we are one step closer to having our Amazon Prime Air packages delivered right to our door autonomously.